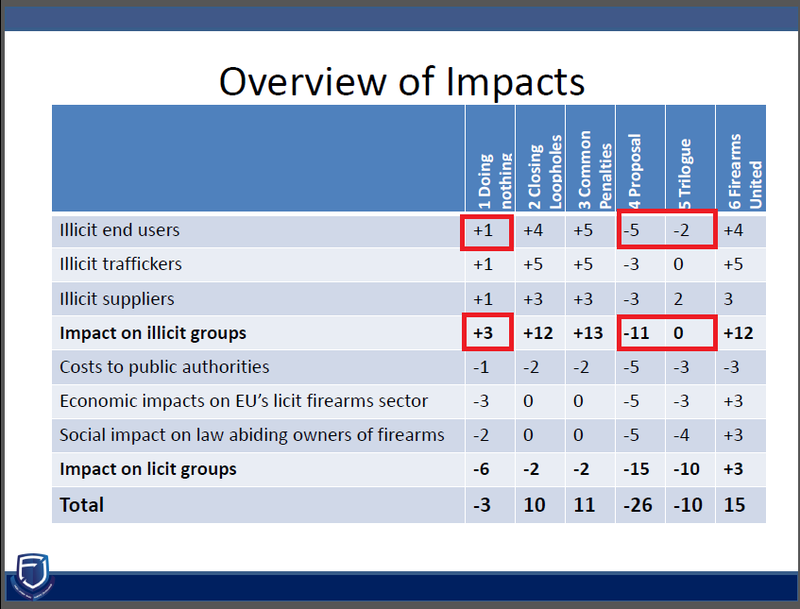 The European Commission has so far failed to support the EU Gun Ban plans with an impact assessment – most likely because carrying on an impact assessment would cripple the gun ban plans, as its outcomes would seriously contradict the anti-gun agenda. Two members of the first panel brought on their own evaluation, with facts and figures, that were the true centerpieces of the event. Katja Triebel, head of research for the Firearms United network, introduced her own impact assessment – a document drafted closely following the EU impact assessment guidelines, largely based on many of the documents that the European Commission is trying to use to justify its ban plans, and impressive both in terms of detail and sheer workload that was necessary to generate it. 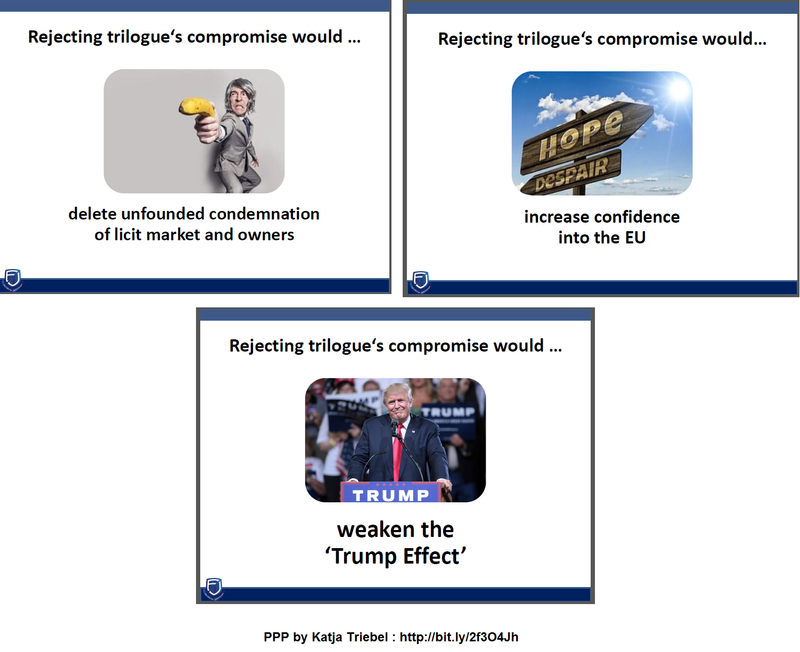 The findings of Triebel’s impact assessment are that the approval of the EU Gun Ban would result in a total disaster for the legitimate civilian gun industry and for law abiding gun owners. 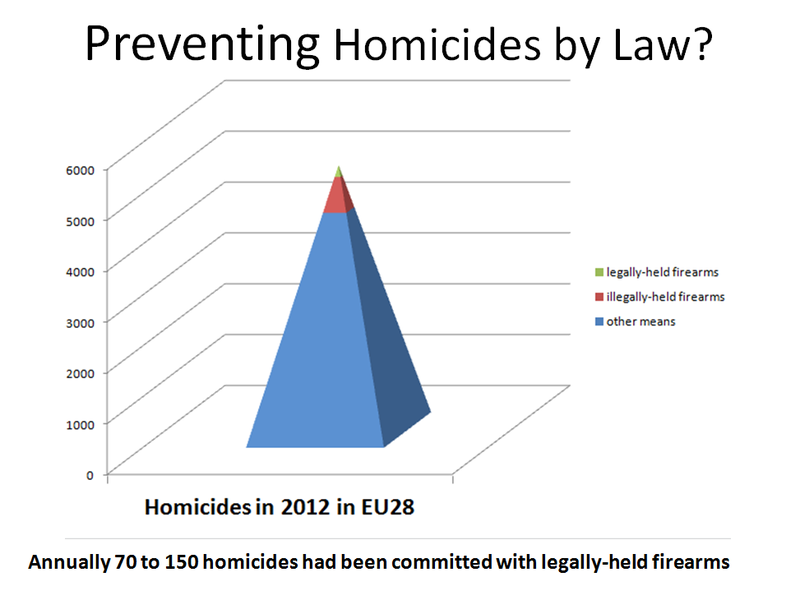 With the murder rate in the Member States being steadily falling and with an estimated 70 to 150 murders committed in the entire EU with legally-held firearms yearly – none of which with the modern sporting guns that the Commission is seeking to ban – even just doing nothing and not modifying the European firearms directive at all would yield better results in terms of public safety than enforcing the planned EU Gun Ban. On the other hand, should the Council and the European Parliament decide to cave in to the Commission’s false and misrepresented data, an industry that’s worth billions of Euros and supports over half a million of jobs EU-wide would be damaged beyond repair.